Yet another test? Yes! 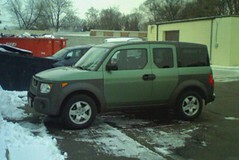 This is an outdoor test on an overcast February morning of my Honda Element behind the office.